We are a Messianic Community of Jews and Gentiles who want all people to “Behold Yeshua” as the promised Messiah, for the Jew first, but also for the world. 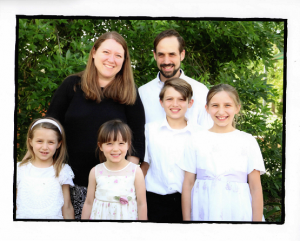 Robert Miles is a Messianic Pastor with the IAMCS. He was send out from Baruch HaShem Messianic Congregation in San Antonio, Texas where he had been an Elder and Chaverim (homegroup) leader. He is happily married to Eleanor, his wife of 15 years, and has 4 beautiful children. Eleanor Miles taught Hebrew at Baruch HaShem and was a founding member and Hebrew teacher at MOEDIM Homeschool Co-op which is under Baruch HaShem. She now teaches Hebrew and Davidic dance for HYC.